I was at my relative's place over the last weekend and in the middle of our dinner, there a loud distinctive water splashing sound emitting from his common bathroom; it sounded like someone is pouring a huge bucket of water right into the shower area. Instinctively, we rushed over and lo and behold; we were shocked to see water streaming rapidly down from the false ceiling. 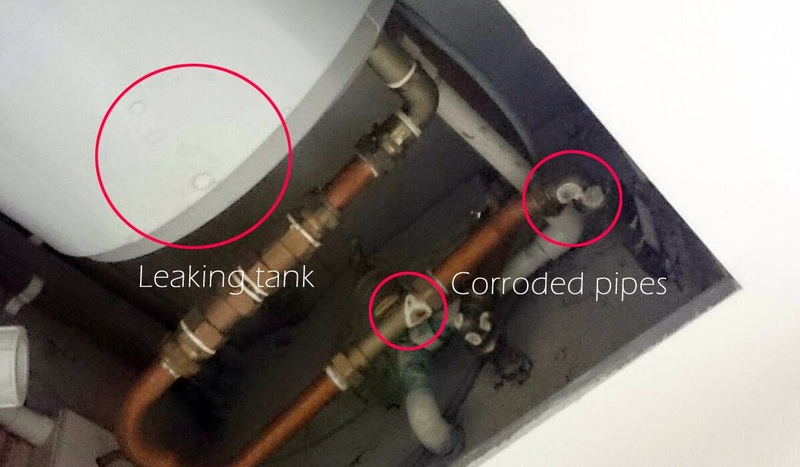 Upon further investigation at the manufacturer's website, we realized that apparently, the "aggressive"water (another word for acidic water) has corroded the pipes, leading to the water leakage from the storage heater. 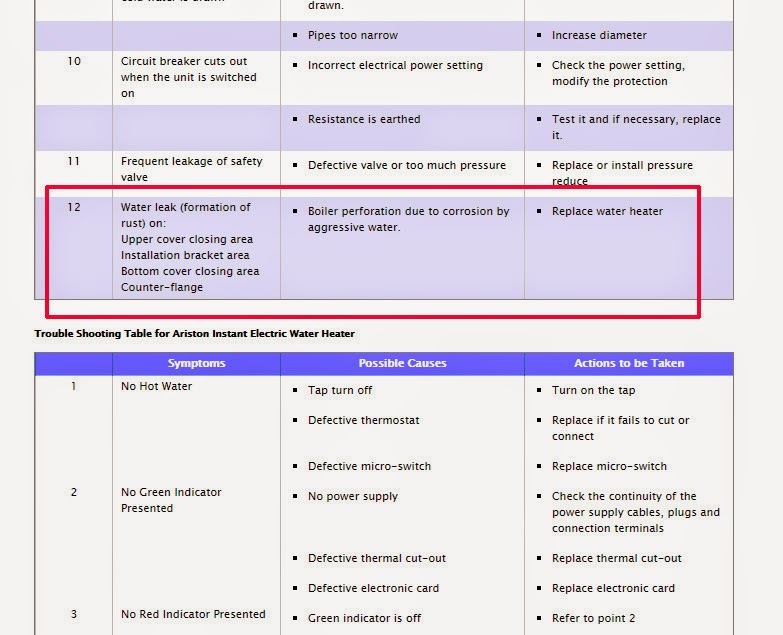 We scrutinized the water heater's warranty card issued by the developer and realised that unfortunately, the 5 year warranty just lapsed a few weeks ago! Similarly, the residents of The Peak @ Toa Payoh and newly TOP Vacanza private condominium face a host of defects after the liability period. Every now and then, the residents will post photos or accounts of defects that occurred right after the warranty period. What do these mean for Homeowners?My relative could have preempt the situation by paying more attention to the water heater in the last few months. I guess one of the biggest lesson learnt is that gone is the era when things are built to last. We have to especially keep a vigilant watch over the appliances which are nearing their end of the warranty period.